After becoming the first human to swim across the Atlantic in 1998, Ben Lecomte has taken on a new challenge: going from Tokyo to San Francisco, swimming 8 hours per day.Right this minute, Frenchman Ben Lecomte is hard at work on his second ocean crossing. 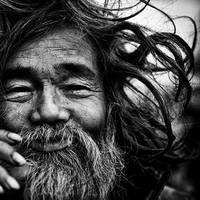 After becoming the first human to swim across the Atlantic in 1998, he’s taken on a new challenge: going from Tokyo to San Francisco, churning his limbs eight hours a day in the cold Pacific for six months, accompanied by his team on the support boat. The voyage data recorder (VDR) belonging to sunken cargo ship El Faro was found early Tuesday morning in 15,000 feet of water, about 41 miles northeast of Acklins and Crooked Islands, Bahamas, the National Transportation Safety Board (NTSB) announced. 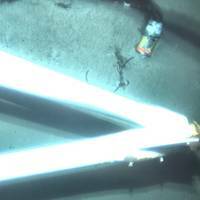 A specialist team comprised of investigators and scientists from the NTSB, the U.S. Coast Guard, Woods Hole Oceanographic Institution and Tote Services, the owner and operator of El Faro, located the VDR using remotely operated undersea search equipment. Video footage showing El Faro's VDR is available here. At about 1 a.m. The National Transportation Safety Board is set to resume its search April 18, 2016, for the vessel data recorder of the sunken El Faro cargo ship. The U.S. flagged El Faro sank during Hurricane Joaquin on Oct. 1, 2015. All 33 of the El Faro’s crew perished in the accident. The mission for the second search is to retrieve the ship’s vessel data recorder and better document the wreckage to help determine exactly why and how the ship sank. The second search is being conducted in cooperation with the National Science Foundation and the Woods Hole Oceanographic Institution. 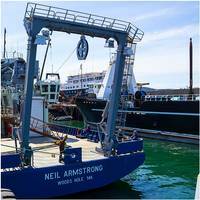 The research vessel Neil Armstrong arrived to its home port at the Woods Hole Oceanographic Institution (WHOI) dock for the first time Wednesday, escorted by the WHOI coastal research vessel R/V Tioga, two Coast Guard vessels and fireboats from neighboring towns. 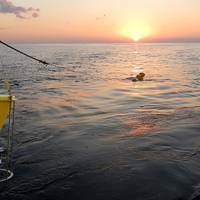 “What a wonderful day for Woods Hole, for the Commonwealth of Massachusetts, for Woods Hole Oceanographic Institution, and the entire ocean science community,” enthused WHOI President and Director Mark Abbott. “We’re very proud to have been selected by the Office of Naval Research to operate the Neil Armstrong. Six years ago, the U.S. I woke up the first night out of Anacortes, Washington, when the ship dropped out from under me and I levitated off my bunk. Then came the sound of shuffleboard in the conference room one deck above. The only trouble was, there's no shuffleboard on the research vessel Neil Armstrong. It was Halloween 2015 in the Northeast Pacific. We were in the first hours of the first voyage of the newest ship in the U.S. academic research fleet, and we were already plowing through 15-foot waves. But the ship’s motion made it feel more like we were facing much heavier seas. The National Transportation Safety Board (NTSB) said it will initiate a second search expedition to the wreckage of sunken El Faro in an effort to gather further evidence in its investigation of the loss of the containership, which sank in the Atlantic during Hurricane Joaquin on October 1, 2015. 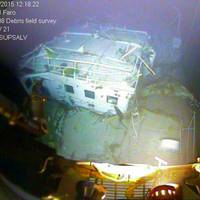 A key objective of the mission, which is expected to begin in April and last about two weeks, is to locate the voyage data recorder (VDR) and to provide investigators with a more extensive and detailed survey of the shipwreck, NTSB said, adding the exact launch date will be announced later. 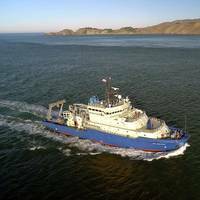 Schmidt Ocean Institute’s research vessel Falkor returns from the first ever expedition to systematically characterize the rarely explored Mariana Back-Arc. HAGANTA, GUAM – A diverse team of scientists are returning from a 28-day expedition onboard R/V Falkor that has more than doubled the number of known hydrothermal vent sites in the Mariana Back-arc region. This area, west of the Mariana Trench, is where plate spreading and submarine volcanism are concentrated. Several momentous findings were made, including the discovery of one of the deepest vents ever found. The U.S. How did an urgent requirement to build a road to Alaska end up helping to design submarines and to recover oil spills in the Arctic ice? The Army Corps of Engineers was faced with a monumental challenge of building a highway to connect the “lower 48” to Alaska during World War II to keep America’s northernmost territory secure from invasion. The road crossed hundreds of miles of wilderness, and much of the roadbed sat up permafrost, presenting challenges to America’s roadbuilders. It's a career-defining moment for 36 college and university faculty April 30, as the Department of the Navy announces the recipients of its 2015 Young Investigator Program, one of the oldest and most selective scientific research advancement programs in the country. Collectively, awardees will receive $18.8 million in grants to fund research across a range of naval-relevant science and technology areas. This is a banner year for the program, administered by the Office of Naval Research (ONR), which increased funding by 50 percent over last year. Defense Secretary Ashton Carter announced today during a Pentagon press briefing that he has recommended Adm. John M. Richardson as the next Chief of Naval Operations (CNO). A career submarine officer, Richardson is currently director, Naval Nuclear Propulsion Program. 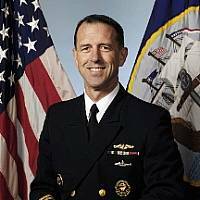 If confirmed, Richardson will replace Adm. Jonathan W. Greenert who has been CNO since September 2011. Greenert will retire this fall after 40 years of naval service. "John Richardson is one of our finest officers and I have great confidence that he is the right leader for our Navy," said Secretary of the Navy Ray Mabus. 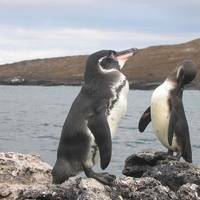 Shifts in trade winds and ocean currents powered a resurgence of endangered Galapagos Penguins over the past 30 years, according to a new study led by researchers at the Woods Hole Oceanographic Institution (WHOI). These changes enlarged a cold pool of water the penguins rely on for food and breeding—an expansion that could continue as the climate changes over the coming decades, according to the study. The Galapagos Islands, a chain of islands 1,000 kilometers west of mainland Ecuador, are home to the only penguins in the Northern Hemisphere. The U.S. Navy’s research vessel Neil Armstrong (AGOR-27), scheduled for completion this year, is equipped with a modern array of oceanographic research equipment. To handle this equipment, Allied Marine Crane, a division of Allied Systems, Co., was chosen to design and manufacture two cranes, one A-frame, one davit, two handling systems and two hydraulic power units. Allied Marine Crane equipment was specified based on their history with research equipment handling, their proven design and build capabilities, and strong working relationship with marine winch supplier Markey Machinery. Antarctica's ice paradox has yet another puzzling layer. Not only is the amount of sea ice increasing each year, but an underwater robot now shows the ice is also much thicker than was previously thought, a new study reports. The discovery adds to the ongoing mystery of Antarctica's expanding sea ice. According to climate models, the region's sea ice should be shrinking each year because of global warming. Instead, satellite observations show the ice is expanding, and the continent's sea ice has set new records for the past three winters. Safely, efficiently lifting and handling increasingly heavy loads takes a hefty dose of the latest heavy lift products and systems. Rolls-Royce is a ubiquitous and growing force in all matters maritime, inching toward the one-stop-shop premise. It is particularly well known in the deck machinery sector, and it recently signed a deal with Detroit Chile SA to supply offshore cranes to nine PSVs under construction at Detroit Brasil Ltda. shipyard, in Itajaì, Brazil. 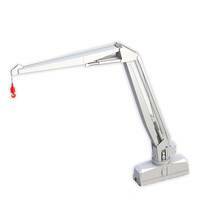 The order includes nine ship sets of the dual draglink crane, making 18 cranes in total. 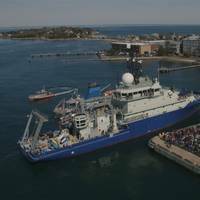 Two new U.S. research vessels are going full steam ahead: the U.S. National Science Foundation will formally commission its Arctic-bound Sikuliaq, and the Woods Hole Oceanographic Institution’s Neil Armstrong will begin science operations. 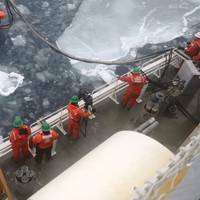 Live Science reports that two new U.S. research ships will take to the seas in the Arctic and Atlantic in 2015, allowing scientists around the world to explore the geology, biology and health of the oceans. 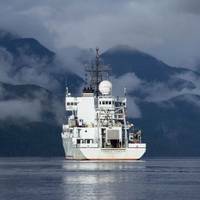 The ocean researchers said that the U.S. National Science Foundation has commissioned the Arctic research vessel Sikuliaq. 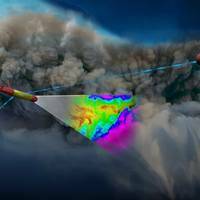 A new study led by scientists at the Woods Hole Oceanographic Institution (WHOI) points to the deep ocean as a major source of dissolved iron in the central Pacific Ocean. 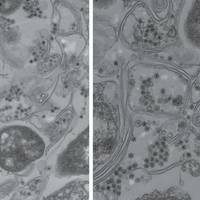 Researchers found that iron can travel long distances, highlighting the vital role ocean mixing plays in determining whether deep sources of iron reach the surface-dwelling life that need it to survive. 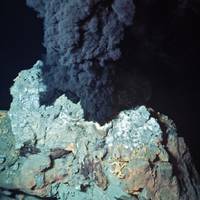 Iron is readily soluble in low oxygen regions at hydrothermal vent sites and along continental margins, but it was believed iron remained in these localized spots and contributed minimally to the ocean's overall iron content.